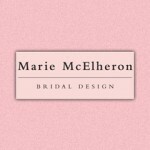 Marie McElheron designs and creates exclusive bridal wear, evening wear, bridal shoes and accessories from her bridal design studio and shop in Arklow, Co. Wicklow. 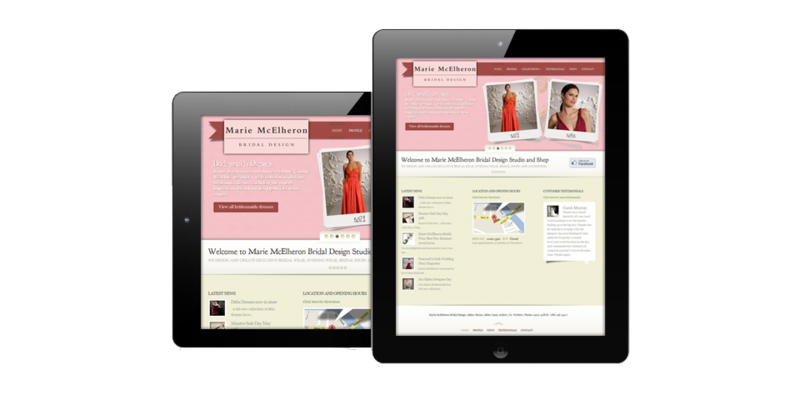 Marie required a complete redesign of her old website and a CMS attached so she could keep the site updated herself. 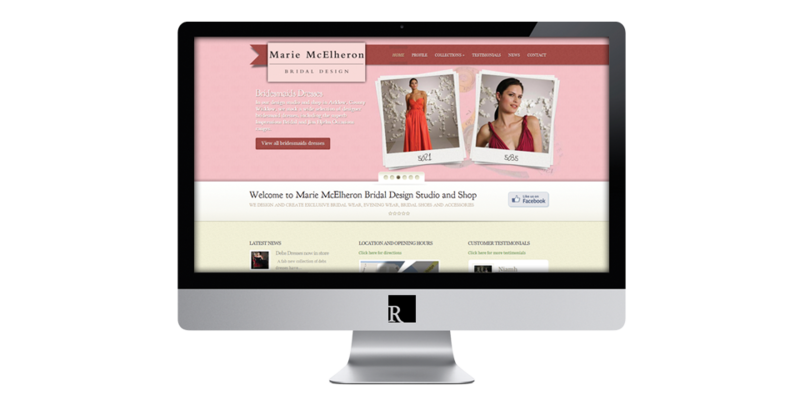 Her website now has a vintage aesthetic with some eye-catching visuals wrapped in a colour scheme to match her shop. ** Update October 2015: Marie has made a very difficult decision to close her bridal shop after 8 great years.